WHO: Social Studies teachers looking for digital resources, lesson plans and more! HOW: Visit http://teachinghistory.org/, click on your choice of “Teaching Materials”, “History Content”, or “Best Practices”. You can also browse the site based off of grade level (Elementary, Middle, or High School). The teaching materials section features lesson plans, teaching guides, and instructional strategies and resources for ELL. History Content has website reviews, quizzes, National Resources, and “Beyond the textbook”. In the best practices area, teachers can find examples of historical thinking, teaching in action, teaching with textbooks, and using primary sources. Teachers can also search for a topic and find a wide variety of digital materials to use in their class. WHEN: Teaching History is great for lesson planning and also for students to do research for projects in class. WEO: Digital Assignments With A Social Media Feel! WHO: Teachers looking for digital activities in the classroom. To find activities made by other teachers, just simply click on the search icon in the corner, and type in the topic you are covering. Teachers can create boards, “pin” activities to save for later, or assign to a class. WHEN: Teachers could use WEO as a Bell Ringer/Exit Ticket, Formative/Summative Assessment, or for an entire lesson. Teachers can be up and running with their first activity in a matter of minutes. WHO: Teachers and students looking for individual course material. HOW: Teachers can create classes online with all of their students enrolled in the same course. If a student wants help on their own, they can create an account and start coursework. Eduvee has many different courses built in, with multimedia based lessons, and assessments with confidence meters. WHEN: Eduvee is a great option for enrichment coursework. Whether it is letting students explore topics of interest on their own, or having a teacher leading the way with Eduvee to guide. This would also greatly benefit smaller schools that may not have the staffing to provide coursework that is available. WHO: Teachers looking for digital resources for their lessons. HOW: Visit https://www.sascurriculumpathways.com/portal/, create an account, and search for the standard you are looking for. Resources are sorted by both Common Core Standards as well as State Standards. Teachers can sort by grade level, content area, and standard type to see what is available. Resources vary from simple data to use in class to entire courses. WHEN: With each resource being different, there is a wide variety of times to use with class. Be sure to look around and see what is available to use with your students. WHO: Teachers looking for flipped classroom, grammar practice, and/or extended lessons on grammar. HOW: Teachers can register for an account and create a class, or students can create an account on their own. Lessons include videos which allow students to pause and repeat unclear items, as well as exercises to practice what they have learned. There is also a reporting feature which allows teachers to quickly see how students are progressing. WHEN: Grammar Flip would be a great option for the Flipped Classroom. It could also be used for supplemental material for those students that need more assistance or for students that would benefit from working ahead. WHO: Science and Math Teachers, students, tutors, or parents looking for video lessons in Algebra, Geometry, Algebra 2, Biology, Chemistry. Coming soon include Calculus, Physics and Organic Chemistry. HOW: Sign up for a free account at https://glean.co/ and get started! 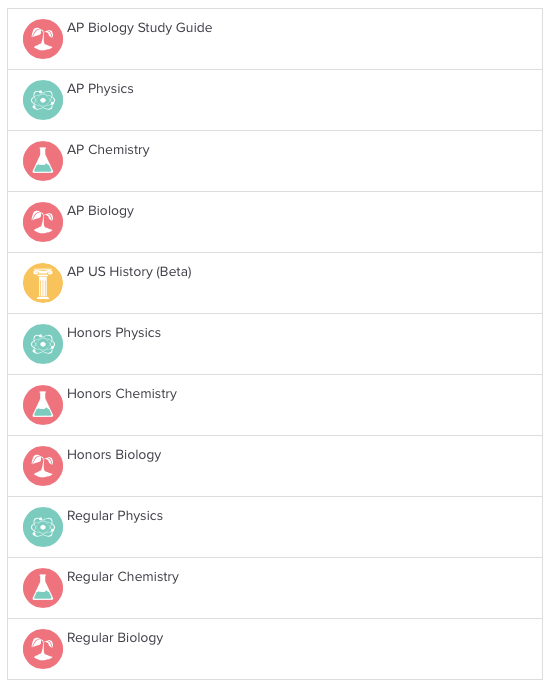 Teachers/tutors can assign lessons to classes, students/parents can simply choose a topic. WHEN: Glean.co is great for flipped classrooms. Teachers can assign videos for homework and spend the following class period reinforcing the material covered with their students. Glean has videos from the best teachers, allows for peer to peer help, and adapts to fit the learning style of the user. Students have the options for self-guided learning as well. If they get stuck on a topic, alternate video are available to watch for a different approach. Glean Insights allow teachers to see how students are progressing with lessons, how much time they have spent, and what percentage students have completed as well. Insights track when students review parts of videos as well. WHO: Teachers looking for digital resources to help supplement and track CCSS in their classrooms. HOW: Teachers sign up for a free account at https://www.opened.com/, then the teacher will add students to their class. After creating a class, teachers have the option to use pre-selected resources aligned to that grade and content area. Teachers then create lesson plans and attach the assignments/resources to the class. Students take the assignments and OpenED track mastery of standards. By selecting a students score from the mastery chart, the teacher can see how the student performed on each question, and also has the option to assign additional resources to help. WHEN: These resources are great for in class lesson builders, homework assignments, flipped classrooms, or supplemental material. Tutorial Video – Actively Learn: Integrate questions, media, notes and more into text! WHO: Teachers looking to use digital text in their classroom. HOW: Teachers create an account on www.activelylearn.com, find content, add questions/notes/polls. Teacher then creates a class, adds students, and assigns work. WHEN: This tool is great for any reading activity. It is also beneficial for silent/independent reading. Actively Learn engages students in reading activities while collecting the data the teacher needs to enhance their lesson and give proper 1-on-1 attention where the students need it the most. Customer Support at Actively Learn is fantastic and their tutorial videos help first-time users tremendously.